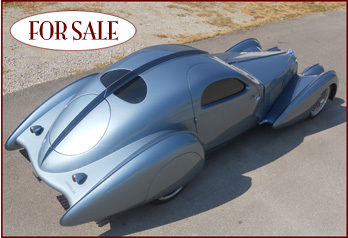 DELAHAYE USA has a few Cars For Sale and we have a few friends with Cars For Sale. Prices listed are firm. Please don’t waste our time with tire-kicking and trying to haggle over the price. SERIOUS buyers ONLY respond. ALL INQUIRIES should be sent via e-mail to delahayeusasalesa@hotmail.com. 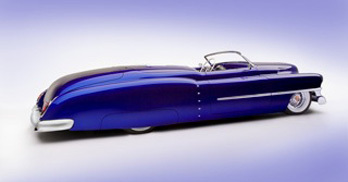 A brand new car from DELAHAYE USA. DECO RIDES fiberglass boattail body, steel nose & hood, fiberglass front and aluminum rear pontoons, air suspension front and rear, Fat Man chassis, Ford 4.6 litre Mustang single overhead cam engine with real Ferrari V-12 valve covers! 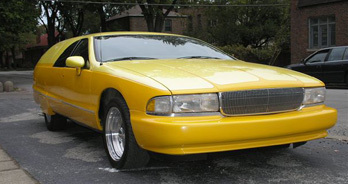 Automatic trans, black leather interior, and headlights that steer with the front pontoons. Built in Indianapolis by Browns Metal Mods and Auto Hammer Art. Pearl Tangello Orange & black paint. 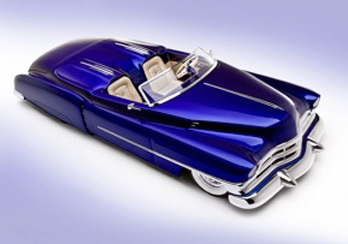 Inspired by the famed BUGATTI ATLANTIC, this is a stylized version of that car, not a replica. 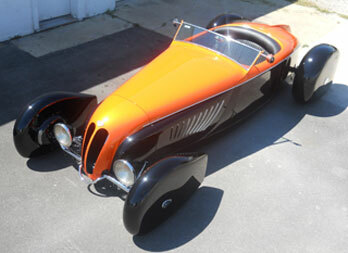 A brand new car from DELAHAYE USA, BMW V-12 Engine, BMW Automatic trans, AC/PW, 5 Dayton wire wheels, Ford 9-in. 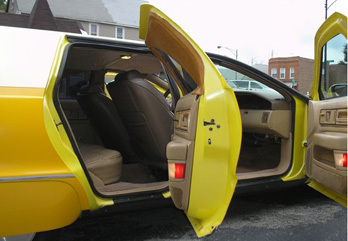 rear, carbon fiber body, real wood dash with beautiful brocade and camel leather interior. Cannot deliver until Dec. 2012. 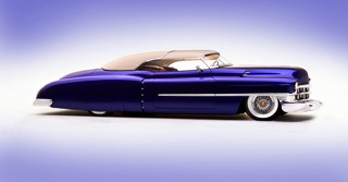 Built by famed AZ/CA artist, Custom Car King Rick Dore. Winner Long Beach Motorama $15,000 Top Award. 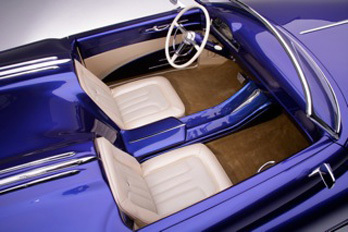 A lift-off 2-piece Carson style top (a full roof, a Landeau half-top, or roadster). Front of top painted pearl, rear top in German Stayfast material. Dore is famous for his vibrant paint colors and this is no exception. Tahitian Blue with a purple cast. Car is all steel including tonneau cover. Flawless workmanship and paint. 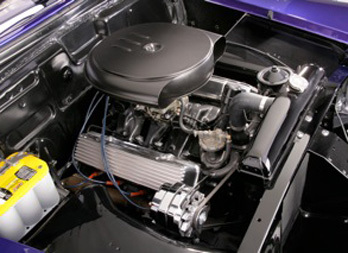 Immaculate engine compartment with a great-running Caddy V8. Air ride front and rear. 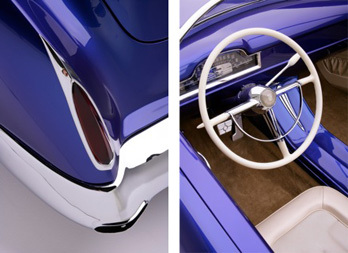 Interior is leather with genuine sting ray inserts. Car in California. 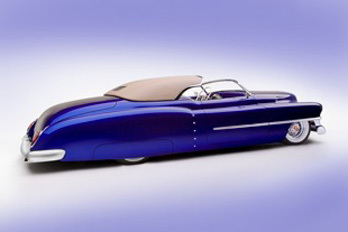 Not a DELAHAYE USA designed or built car, another of my California artist friends designed and had this exotic roadster built. It has a Texas Special Construction title. 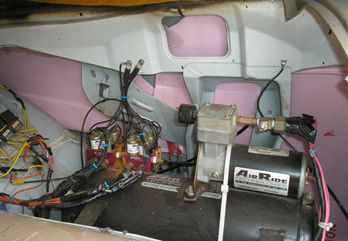 A running car with full interior, 351 Ford V8, C6 automatic trans, AC/PS/PB. Roll up windows. Car in California. 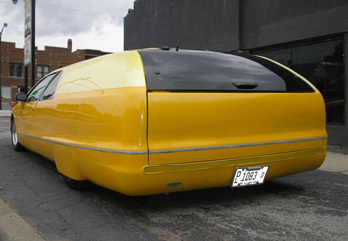 Designed & built by Terry Cook of DECO RIDES during his “custom car period,” then sold to a Chicago friend who went through the whole car and freshened it up, this 1992 Buick Roadmaster wagon was chopped four inches and converted into a 3-door sedan delivery (rear door on driver’s side welded shut). Custom taillight and rear license mount, Moon fiberglass front bumper, custom steel fender skirts, AIR RIDE TECHNOLOGIES air bag suspension, it’s a reliable daily driver. 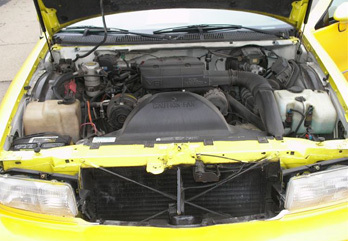 Has an injected 350 throttle body V8, 700R4 transmission that was recently rebuilt, and Flowmaster exhaust. 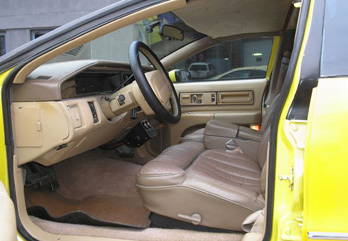 Air conditioning, cruise control, power windows, power seats, and locks. 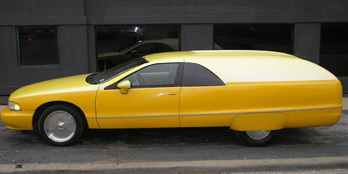 Garage kept, painted two- tone yellow and orange pearl, car has a few small cracks in the body but it is a real head turner. 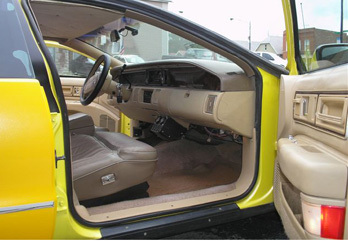 Leather interior has some wear, but is well kept.